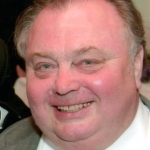 John Paul Dubowski Jr., CPA, age 77, died peacefully on Friday, March 22, 2019 at LECOM Senior Living Center. John was born on June 11, 1941, son of John and Pauline Ozimek Dubowski. He graduated from Fort LeBoeuf High School in 1959 where he was active in football and FFA. John served in the United States Air Force from 1960-63, graduated from Tampa University in 1966, and was self-employed as a CPA for almost 50 years. John is survived by his wife Mary Lou, and daughters- Mary Elizabeth Goudy (Mark) and Theresa Dayton (Terry), son John Paul III (Kristen), and his grandchildren- Deanna, Elissa, Elanna Goudy, John Paul IV, Allie Dubowski and Michael Dayton. He is also survived by his sister Marcia Fromknecht and husband William, nephew Kurt Fromknecht (Petra), step-children- Renee Kovacs (John), Rob Winkelman, and Rae Jean Urbanowicz (Paul); step-grandchildren- Katelyn and Kristopher Kovacs, Ethan and Benjamin Winkelman, and Adria, Brady, and Alena Urbanowicz. John was a member of the Erie First Assembly of God Church, and was past president of the Full Gospel Business Men. He was also a member of the Summit Lions Club whom he sold Harley bike raffle tickets for at many local fairs and events. He was very proud of his Lions Leadership Award, Pennsylvania Fellowship Award, and Melvin Jones Award. His passions were riding his Harley bike, driving his 1989 Mercedes convertible, and rooting for the Dallas Cowboys. 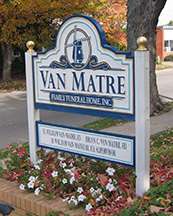 Friends may call at Van Matre Funeral Home in Waterford on Monday, March 25th from 2-5 and 7-9 p.m. where a Lions Club service will be held at 8:30 p.m. Funeral services will be at the funeral home on Tuesday at 11:00 a.m. officiated by Pastors Don Fisher and Tom Hoeke. Private burial will be in St. Teresa Cemetery in Union City. In lieu of flowers, donations may be made to the Summit Lions Club at 1230 West Townhall Road, Erie, PA 16509. Sincere Condolences Mary Lou and Family. John was a wonderful guy. He loved Mary with all his heart. Peace and Comfort to you all at this time. Blessings! Sorry to hear of John’s passing. He was my CPA for almost 25 years. One year he even did our taxes from his hospital bed . I will miss his famous eye rolls he used to give me. Our deepest sympathy to you and your family. Sending love and positive thoughts. So sorry to hear of John’s passing. God’s blessings on each of you in the days ahead. Rick and Cheryl Dingle. So sorry for your loss Marylou and family John will be missed greatly and remembered always. Mary Lou and Families, You are in my thoughts and prayers. John is not in any more pain. RIP John. Our deepest sympathy to you Mary Lou and family. You are in our thoughts and prayers. Doug and I are so very sorry for your loss. Our thoughts and prayers are with you dear lady and with your family as well. I am so very sorry to hear about this loss. May God hold you close at this most difficult time and my the memories you hold dear help you along this difficult road. My thoughts and prayers to you all…. Mary Lou, sorry for your loss. I know a lot of folks will miss John’s quick wit, including all the Valley Inn dancers. John is now at a peaceful place where he will not suffer with any illness anymore. Mary Lou, so sorry for your loss. Thinking of you, Mary Lou and the family at this time. Maty Lou and family, I am so sorry to hear of your loss. We offer our condolences to Marcia, Mary Lou, and the family. May your warm and cherished memories help you all through this difficult time.